I feel like the Machno is perhaps the most underrated kayak in my quiver. It isn’t as rewarding as the 9R, and it doesn’t feature the learning curve, everyday joy and surprises of the Ripper, but my goodness when the river is rowdy am I happy to be in my Machno! I recently kayaked the South Yuba, Purdens, and 49 Bridgeport at enormous flows, and was reminded once again of just how good this kayak is on hard whitewater. I love that I can whip the nose around so quickly. I find this feature exceedingly useful on new rivers where I may have to make last-second adjustments of lines, for doing “sweeping” boofs over holes, for catching eddies, and for enabling me to correct things quickly when I make a mistake. The Machno is crazy stable. On the big and rowdy days, this is a beautiful, bolstering, comforting factor, and there have been a few times that I have been at the bottom of a rapid and have wanted to hug my kayak and thank it profusely for staying upright. On the chiller sections of whitewater, I find this feature fun to play with. I can really (over) commit to my edging and enjoy being leaned over in my kayak as much as possible throughout the run. I hope to keep bringing this skill to harder and harder whitewater. Unfortunately for the Machno, both the Ripper and 9R are blisteringly quick. This doesn’t necessarily mean that the Machno is slow; it just means that comparatively when I switch back from those other kayaks, it feels it. However, speed is not everything, and I like the Machno’s pace. It is hugely useful on first descents when I want to be going slower in the first place. On wave trains, the 9R’s extra speed means it bridges the gap between waves and pierces into the one in front, subsequently requiring me to put in more effort to keep it under control, and not being able to see as far ahead because I am being splashed in the face. With the Machno, I can climb up the top of the wave, ride down the back, and up the next one, maintaining a much better line of sight. Admittedly all wave trains are different, but I do find that the Machno copes with a wide variety of them exceptionally well. 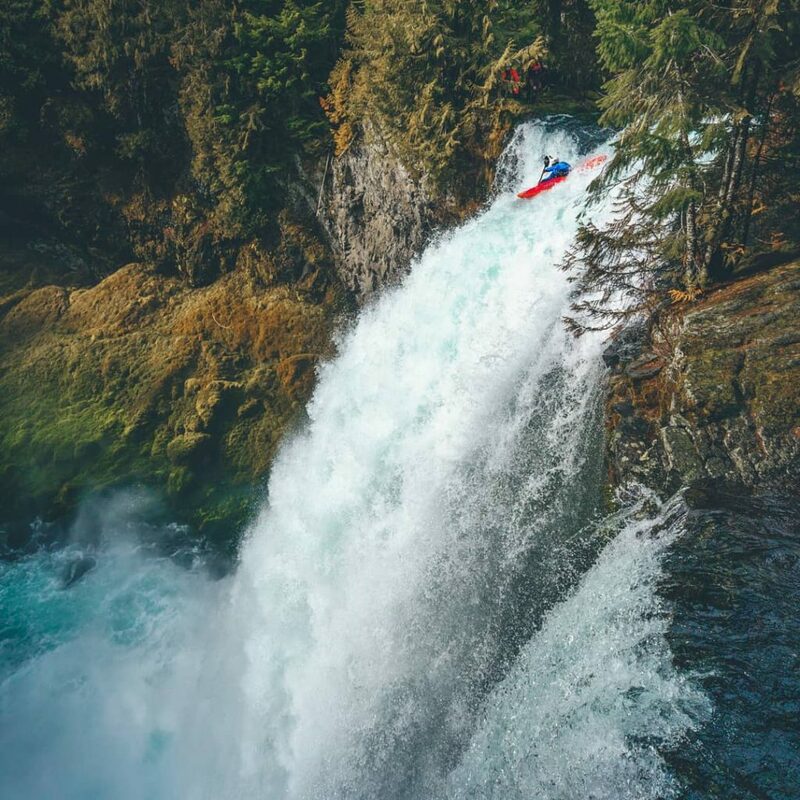 I like to imagine rapids as jigsaw puzzles with missing pieces and having to match the shape, speed, and angle of the kayak to the gaps I see. (I know, I’m weird). 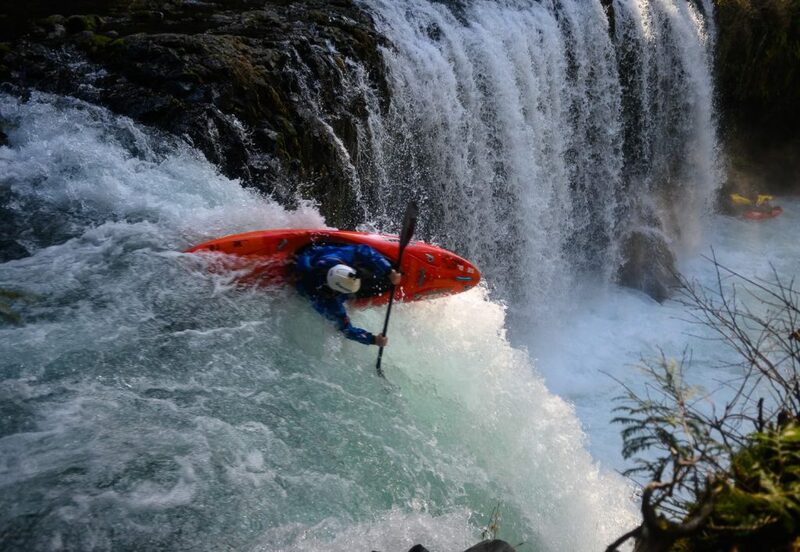 Powerful whitewater can rip people out of kayaks and fold their kayaks into pieces. I feel like the Machno’s seating position is exceptional; I feel secured and locked into the kayak. The peaking, strengthening lines on the deck, and Pyranha’s plastic combine to make me feel confident that my kayak will stand up to everything the river can throw at it. Again, I was reminded of this while kayaking on the Yuba and had to make several last-minute boofs to avoid some monster holes; the Machno is easy to boof. This is great for beginner kayakers, intermediates, and experts in our combined efforts to not have to get wet, cold and remember how to swim. At the moment, I am pleased that Pyranha’s designs continue to leave me smiling ear to ear every day on the water, and I am eagerly anticipating the release of the 9R II!